Springfree™ is more than a trampoline — it’s a lifestyle choice. 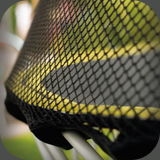 Springfree Trampolines are the result of 13 years of research and development by a multi-national engineering team. 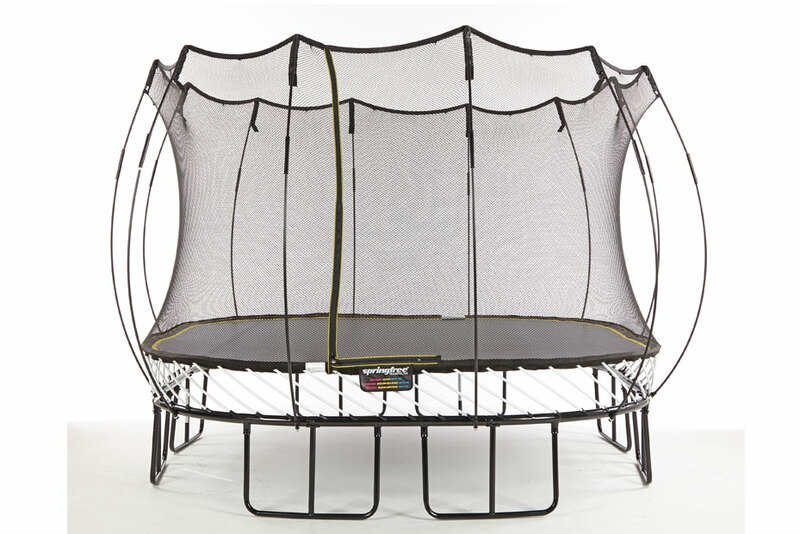 Springfree presents the world’s only enclosed trampoline without springs or a steel frame at the jumping surface. Every component is designed for a safe jumping experience. 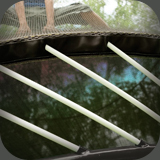 The patented SET™ (Soft Edge Trampoline) Technology replaces springs with high strength rods made of all weather fiberglass. The frame and rods are below the jumping surface mat, leaving only soft surfaces for the jumper to come in contact with. 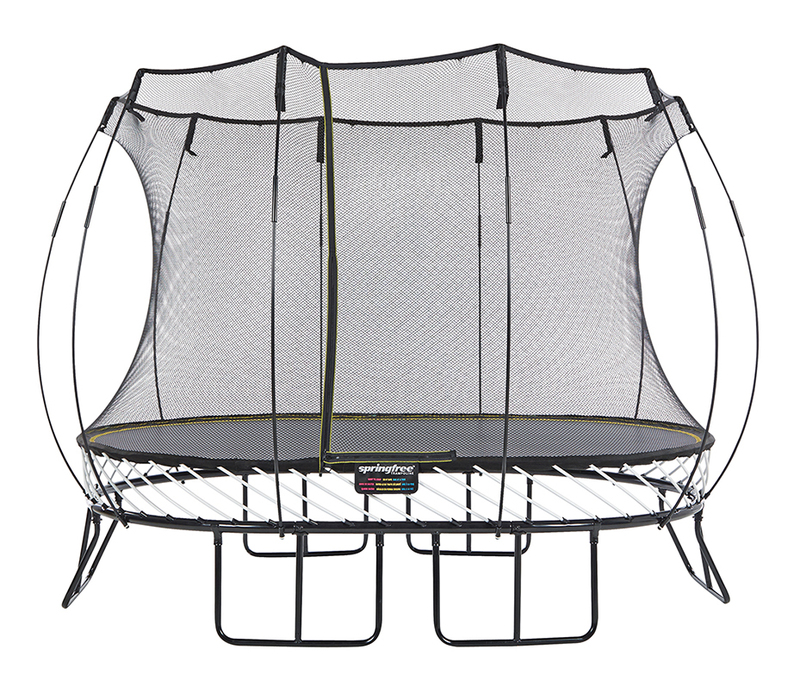 Fully enclosed, the Springfree is sure to satisfy your standards for a safe jumping experience. The Parent’s Choice Foundation selected Springfree™ as one of the winners of its coveted 2009 children’s toy awards — and that same quality and safety are evident today. The Foundation is the nation’s oldest nonprofit guide to quality children’s media and toys. Springfree™ – The World’s Safest! 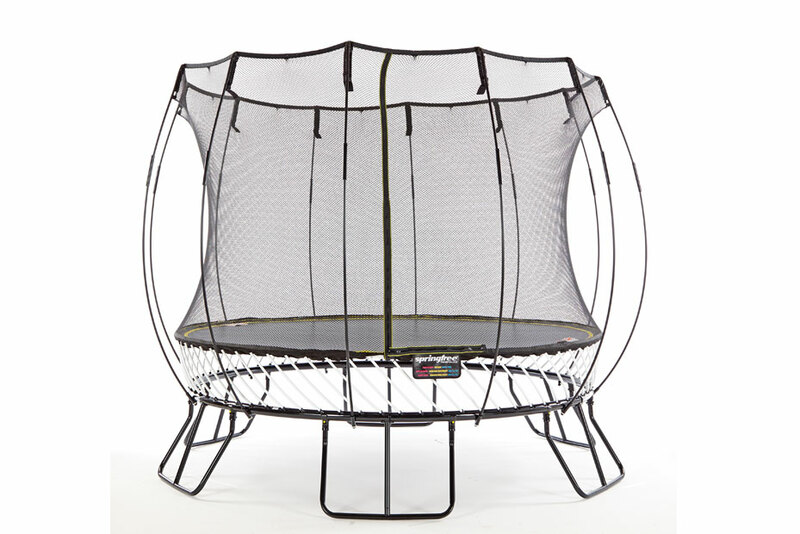 Springfree presents the world’s only enclosed trampoline without springs or a steel frame at the jumping surface. 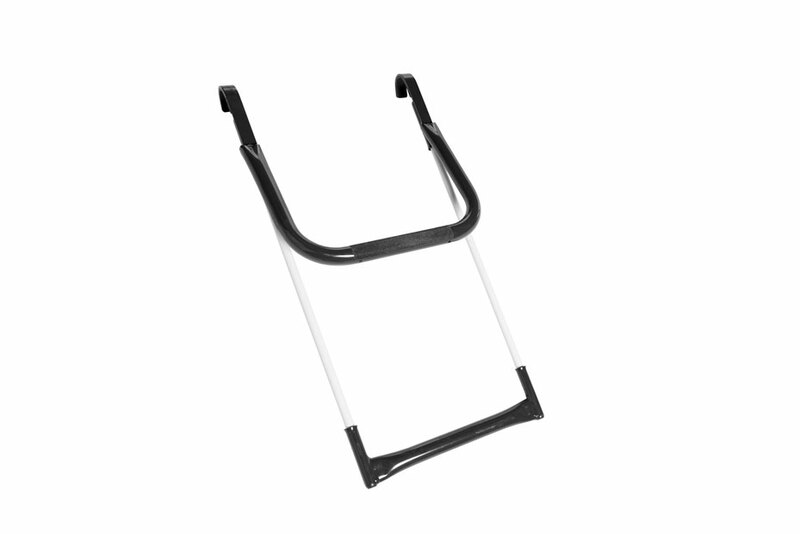 Every component is designed for a safe jumping experience. 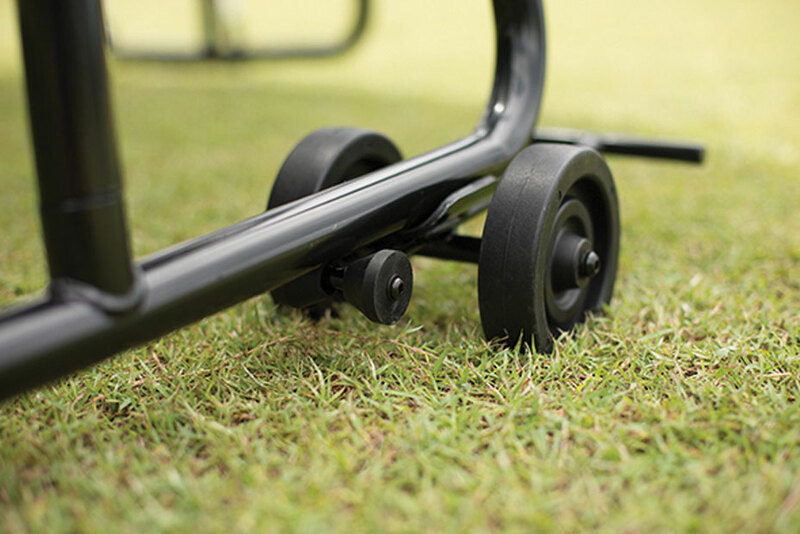 Our patented SET™ Technology replaces springs with high strength rods made of all weather fiberglass. The frame and rods are below the jumping surface mat, leaving only soft surfaces for the jumper to come in contact with. 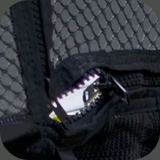 Fully enclosed, trust Springfree to satisfy your standards for a safe jumping experience. We have different shapes and sizes to suit your needs, have some fun, and get you into great shape!! 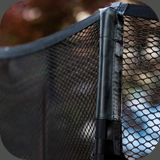 Our Springfree 10’ Round Trampoline and Safety Enclosure is designed for jumpers of all ages. Our 10’ mat jumping surface is equivalent to a traditional 12’ trampoline but only takes up 10’ of space – so you maximize your jumping surface and save valuable backyard space. Our Springfree medium oval trampoline maximizes the space in your backyard – plenty of jumping room with yard space to spare. A soft bounce designed for children of all ages. The jumping surface of our 8 x 11 ft oval trampoline is equivalent to that of a 10 x 13 ft oval trampoline with springs. 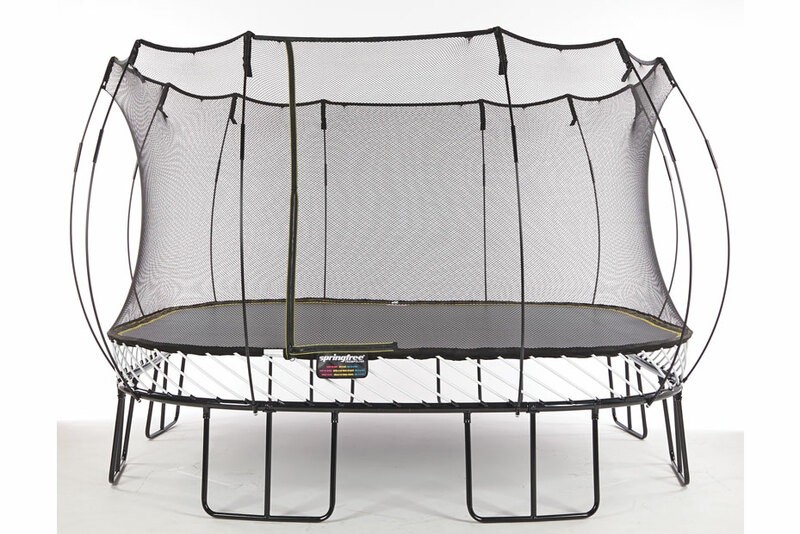 The medium oval trampoline allows you to maximize your jumping surface while saving valuable backyard space. Our Springfree 8x13ft Oval Trampoline and Safety Enclosure is designed for jumpers of all ages. Our 8×13 ft mat jumping surface is equivalent to a traditional 10×15 ft trampoline but takes up the space of a traditional 8×13 ft trampoline – so you maximize your jumping surface and save valuable backyard space. 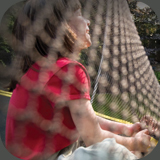 Our Springfree 11ft Square Trampoline and Safety Enclosure is designed for jumpers of all ages. Our 11.2ft wide x 13.3ft diagonal mat jumping surface is equivalent to a traditional 14ft trampoline but takes up the space of a traditional 11ft trampoline. This is a large trampoline, with an equally large bounce. Our Springfree 13ft Square Trampoline and Safety Enclosure is designed for jumpers of all ages. Our 13ft wide x 18.9ft diagonal mat jumping surface is equivalent to a traditional 15ft or 16ft trampoline but takes up the space of a traditional 13ft trampoline. 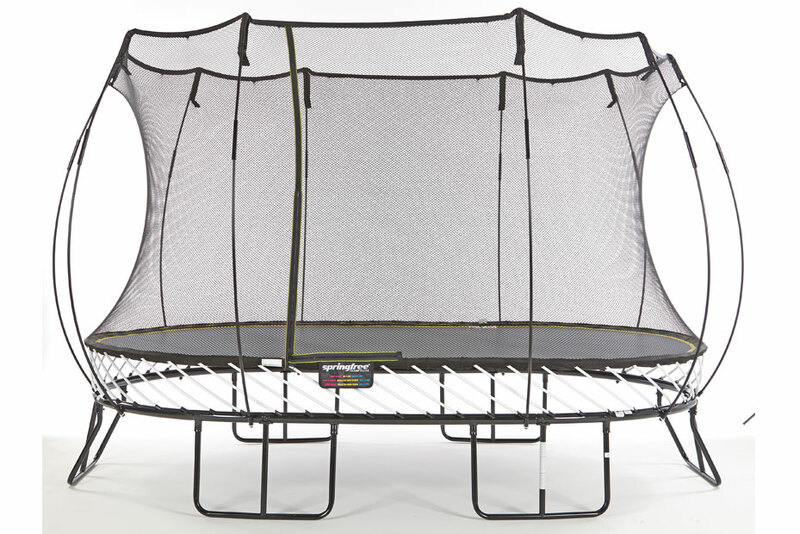 Our largest trampoline provides responsive bounce for active jumpers. 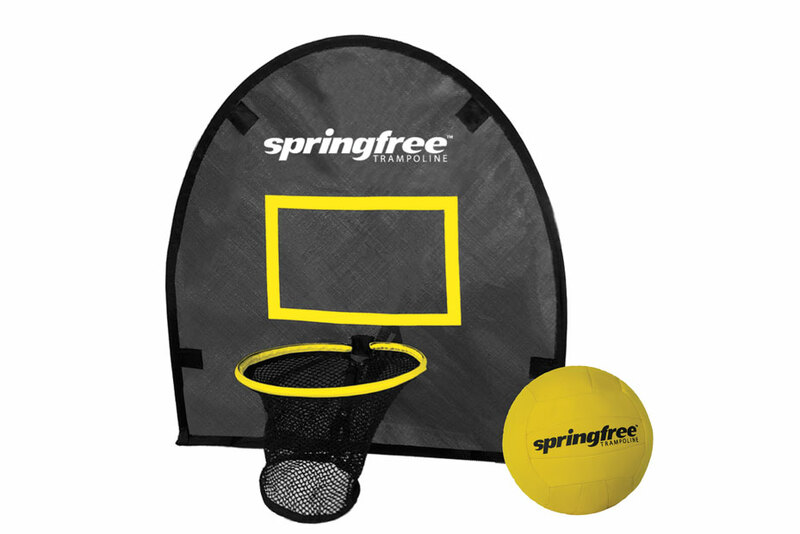 Get the most out of your Springfree™ Trampoline with our unique range of accessories. 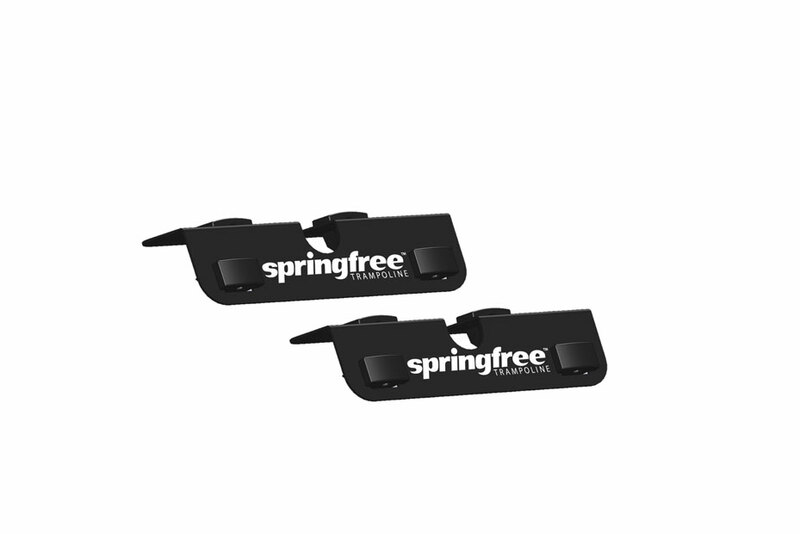 These innovative accessories have been designed by our dedicated team of engineers to be specifically used with your Springfree™ product. 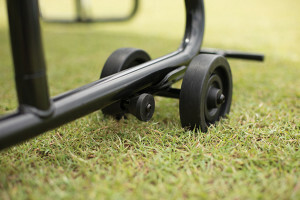 The Springfree™ Ground Anchor helps to safely and securely anchor your equipment to the ground. Tested to withstand pull-out forces of approximately 900 N.